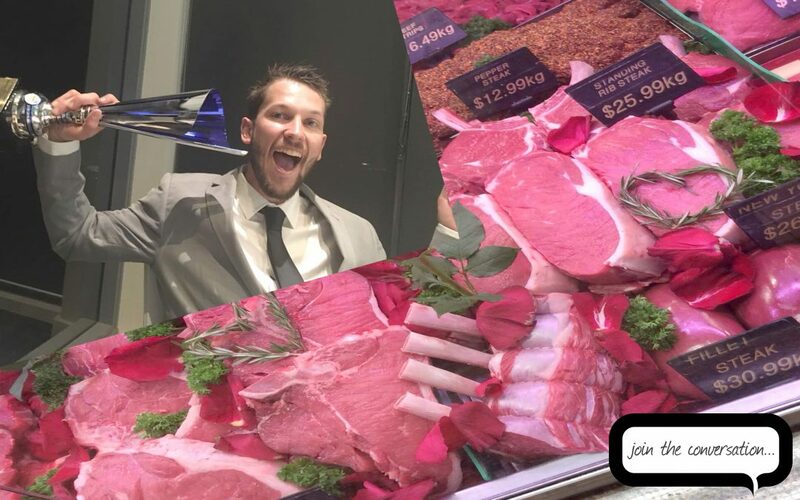 We recently caught up with Chris Drane from the Award Winning Terrace Meats to discuss his business and some of the challenges facing the meat industry. What is the main reason you got into the meat industry? To be honest, starting a career in the meat industry was not my first choice. I always wanted to be a chippy. I knew that I didn’t want to continue to complete year 12 but knew that without a full-time job, completing year 12 would be my only option. Unfortunately, there were not too many openings in building and construction at the time. I was working after school doing clean-up work for a butcher and I was lucky to be offered an apprenticeship. I took it, enjoyed it and that was how I got started. What current challenges is the meat industry facing? There are a few challenges facing the industry at the moment. Obviously living in Australia, we have a very difficult climate for farmers to operate in. Droughts, floods and un predictable severe weather make farming a very difficult business. Because we get everything we sell from farmers, we are very influenced by how farmers are doing. This has always been a challenge for the Australian meat industry. We are still facing challenges resulting from the live export saga. When the change in policy for live exports came into effect it sent the industry into a tailspin. Prices changed dramatically over night and pressure was felt at all levels of the supply chain. Also, when the live export ban was lifted there wasn’t much time for farmers and exporters to adjust so we were left with lower quality stock with higher prices. So, the market is still working through this issue. Obviously, government regulation is always going to be a challenge for this industry because just like what happened with live exports, things can change overnight. Specifically, for Terrace Meats, there are plenty of opportunities. The Newcastle, Hunter Valley areas are always growing so that means more people and more potential customers. There are always new marketing ideas some of which I can’t talk about right now, but they are very exciting. How has technology disrupted how you run your business? One of the main benefits is the efficiency I have felt by being able to use technology rather than doing things manually. For accounting, we now do everything online. I can always see where my business is up to. When I first started with Terrace Meats we couldn’t do that. We had to wait until the end of the quarter or the end of the year. Now we can see this all the time. We can make better and quicker decisions. Who are the most important people to have in your business network? Farmers, suppliers, customers, staff, and accountants. What input or assistance do you expect from your accountant/bookkeeper? I want my accountant to point me in right direction. I want to have an accountant to help me keep my ideas in check and then help me work out how to execute them the best way possible. I am never short of ideas, but I do sometimes need to be brought back to reality with these. Having an accountant that understands the vision and goals I have for the future makes a huge difference. How has PTAM helped you? PTAM have helped get business moving at a different direction from where it was when I first started. PTAM have helped me get through the transition form the old school way of accounting and record keeping to a modern cloud-based system. I have less stress and concern about tax because I know it is being taken care of. PTAM have been there to help me grow and keep me out of trouble. What is the most valuable service or piece of advice PTAM have given you? Pete has told me that anything is in possible within reason and I know that help is only a phone call away. PTAM has helped me get my business to where it is today.